Inspecta-Homes is Minnesota’s and Western Wisconsin’s First and Finest Home Inspection Service. More than 35 years of inspecting homes in Minnesota and Western Wisconsin. Over 150,000 inspections performed locally. Comprehensive, easy to read, computer generated reports delivered on site and via E-mail. General Home Inspections, Truth In Housing, Light Commercial Inspections, Radon Testing, Sewer Inspections and Thermography. In the state of Minnesota, as in many other states, no certification or licensing is required to become a private home inspector. Inspecta-Homes’ inspectors hold membership in many local and national trade organizations including: the American Society of Home Inspectors (ASHI) or the Minnesota Society of Home Inspectors (MSHI). Our inspectors are the most highly trained and experienced home inspectors in the upper Midwest. Wisconsin requires that private home inspectors be licensed by the state. 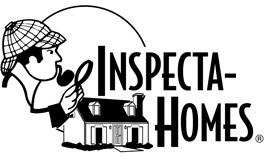 Inspecta-Homes has several inspectors licensed in Wisconsin to meet your needs. Inspecta-Homes pledges to provide you with a comprehensive and professional inspection of your new home. We look forward to earning your inspection business!